2019 updated information on Cruz Del Sur buses, their routes, and schedules. Discover all of the information you need to know before booking your bus ticket below. Cruz del Sur has been operating in the Peruvian market for over 50 years and has become of one of the most popular bus companies in Peru. 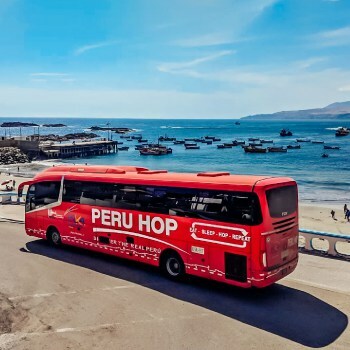 With a focus on quality, they were market leaders in tourist terms until around 2015, when the new Peru Hop service began with its focus on providing the best bus service to tourists in Peru. Up until 2015, it was Cruz del Sur that carried the majority of tourists across Peru on their excellent buses, and to this day, a lot of tourists still use their bus service. Cruz del Sur has various different types of buses, from the most modern buses with personal TV screens and cama (bed) seats, to more economical and basic buses. Cruzero Tour: 2 levels all with semi-cama seats. IS CRUZ DEL SUR SAFE? Cruz del Sur is usually quite safe however they sometimes report accidents (usually smaller accidents but in 2016 they reported 2 lethal victims on 10 heavy accidents) and bus hijackings have been taking place over the last 5 years on their Lima-Ica-Nazca-Cusco Route. 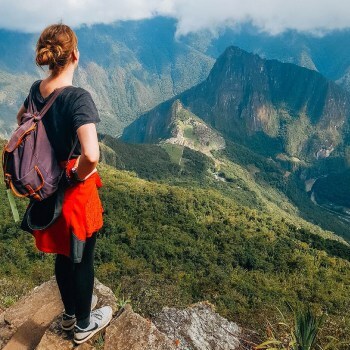 The main reason for this is that Cruz del Sur, like most other public bus companies in Peru, always crosses the Andes mountains when going between Lima and Cusco and vice versa. This is the quickest route (it saves about 5 hours compared to going the longer way via Arequipa) however as the bus cross the middle of the Andes, they lose GPS signal. Local thieves are aware of this, and so using a local person on board, they coordinate the arrival of the bus to a certain point and put big rocks in the middle of the road which grinds the bus to a halt. They then proceed to threaten the driver with their guns until they open the doors and let them on board to steal credit cards, passports, laptops etc of all the tourists on board. There was a recent hijacking of a Cruz Del Sur bus in which the passengers on-board were robbed of $50,000! This unfortunately is quite common on this route and Oltursa, Civa and other famous companies have also experienced the same issues. 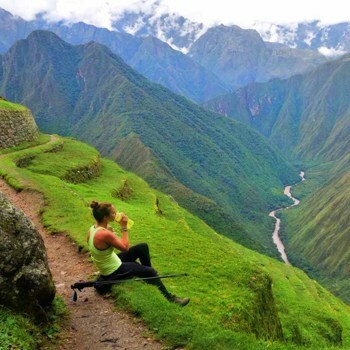 It is why tourist companies like Peru Hop always use the longer route via Arequipa, however local Peruvians need to get to their destination quicker, and so this is why Cruz del Sur and other bus companies operate this quicker but more dangerous route. Cruz del Sur covers most of the major bus routes across Peru. 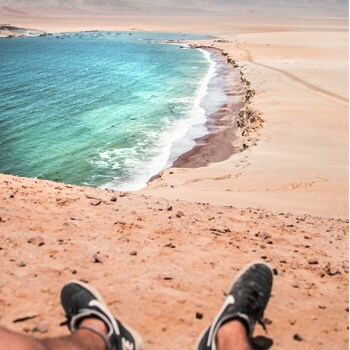 BUSES FROM ICA – Going sandboarding in Huacachina (near Ica). Cruz del Sur have buses running in all directions! 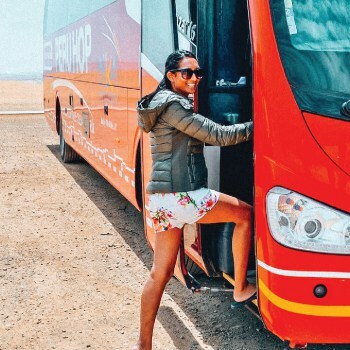 CRUZ DEL SUR – THE BEST BUS COMPANY IN PERU? 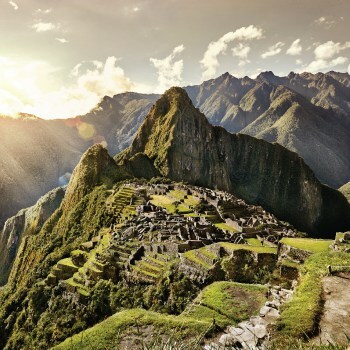 In one of our other articles, we analysed if indeed Cruz del Sur was the best company in Peru. 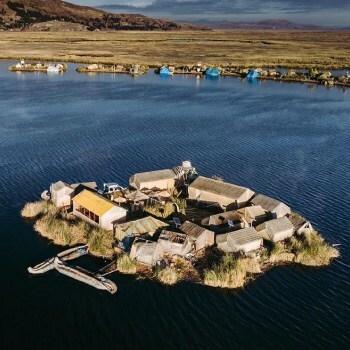 DO WE RECOMMEND TAKING CRUZ DEL SUR? The answer to this question is yes and no! 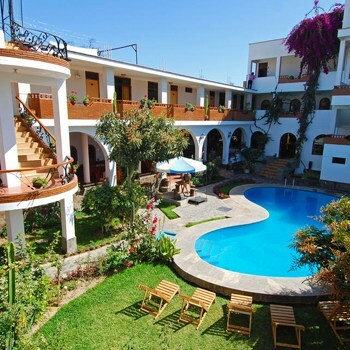 If travelling to the North of Peru (to Mancora or Truilljo for example) then yes Cruz del Sur is a good option. 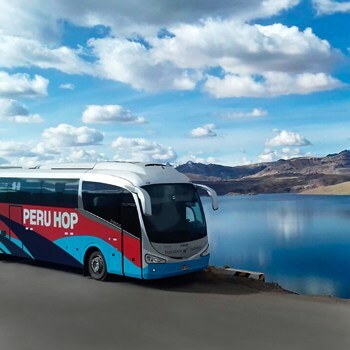 However, if you plan to travel in the South of Peru (to Cusco, Arequipa and Ica) then Peru Hop is a much safer and better bus company in our opinion. Do you agree with us? Have you ever taken a Cruz del Sur bus? Or maybe you have taken another company not mentioned in our article? Let us know in the comments section!